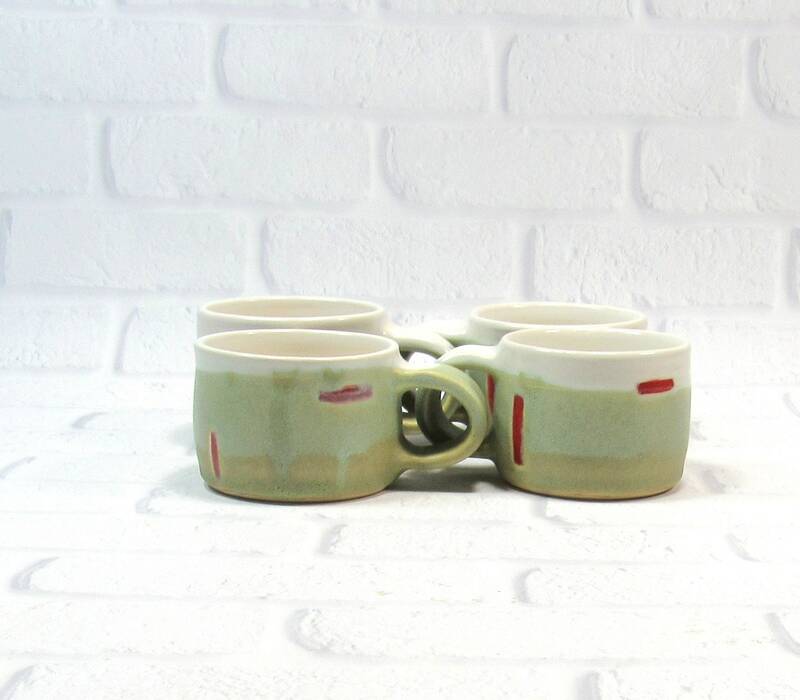 Enjoy your tea, coffee, espresso, cortado or cappuccino in these lovely handmade pottery cups. 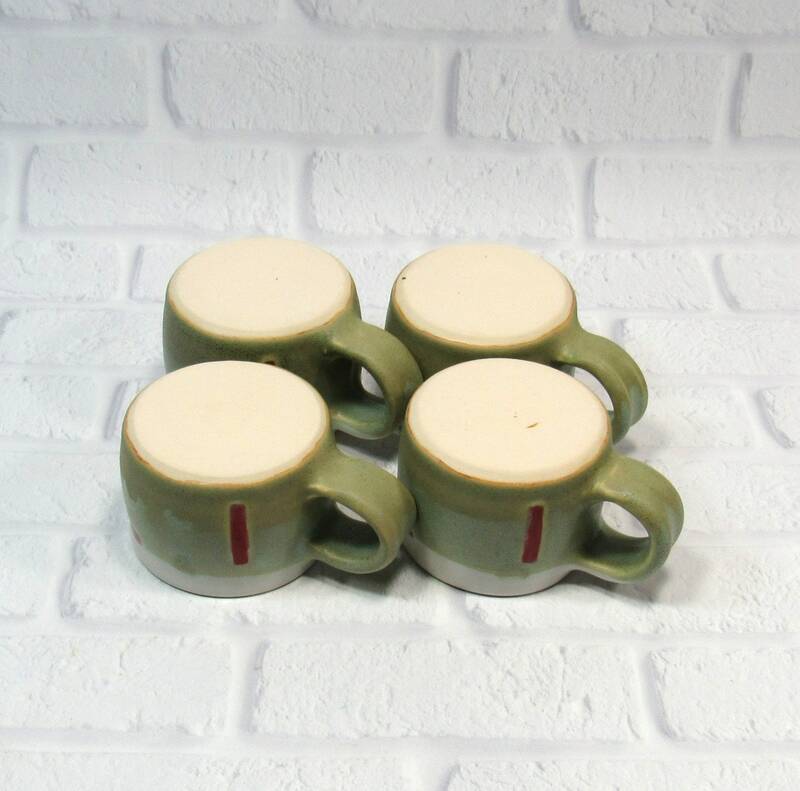 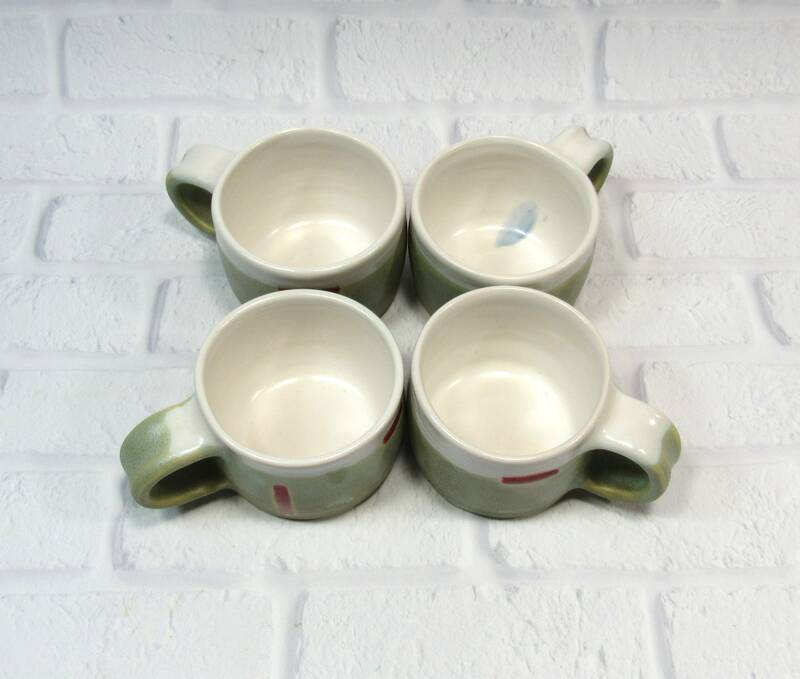 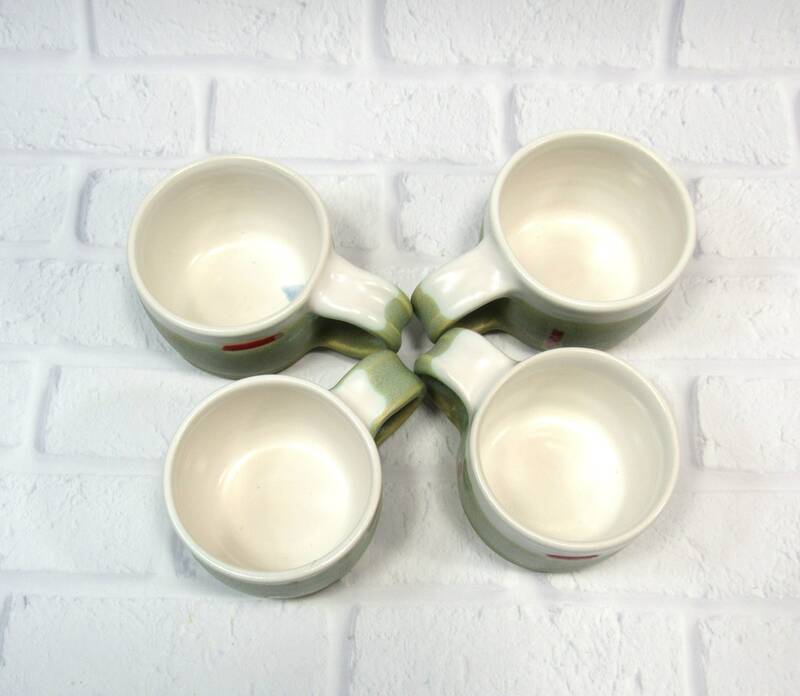 This is a set of four ceramic teacups for your breakfast ritual or teatime pleasure. 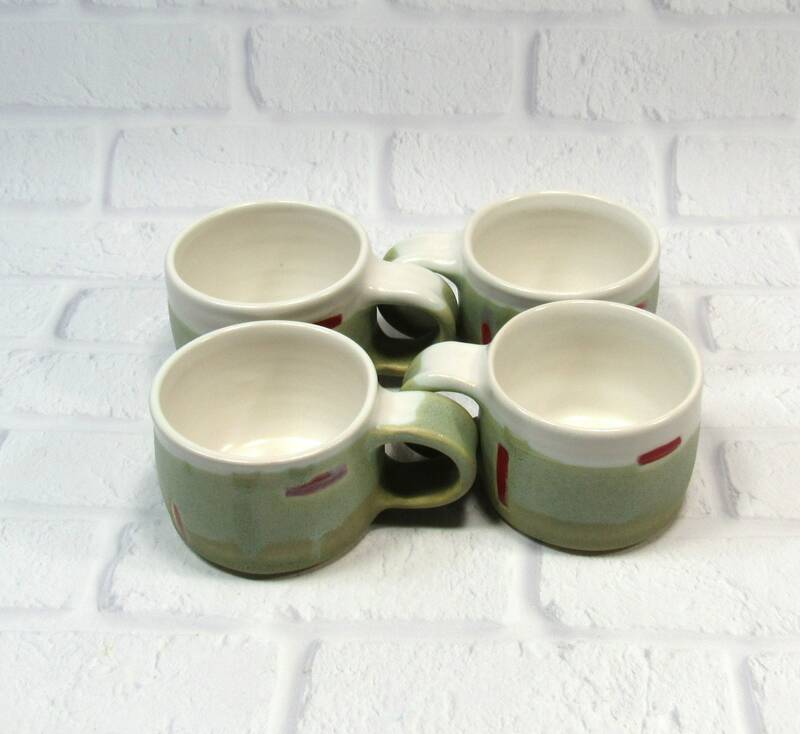 The espresso cups in this set are 2.5 inches tall and 3.5 inches in diameter and hold 8 fluid ounces. 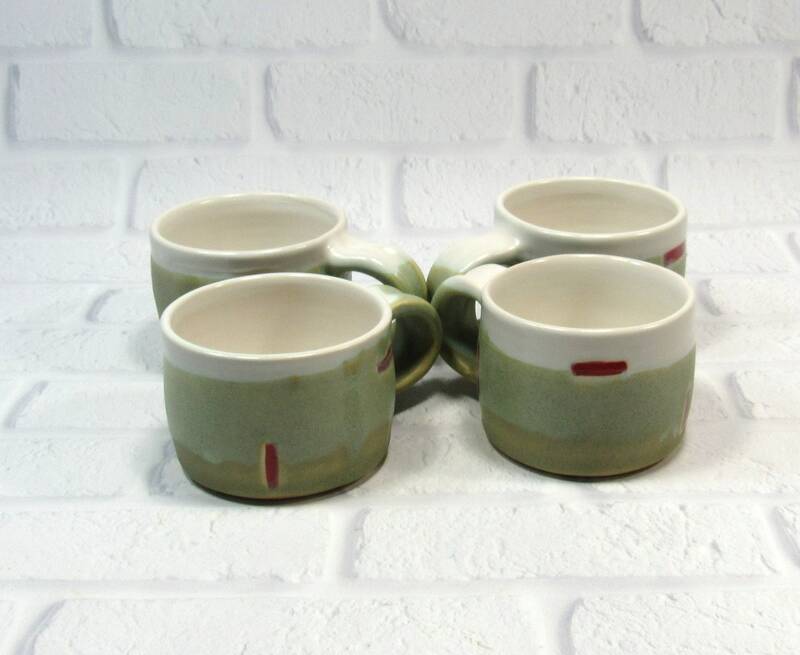 I made this coffee cup set on the potter's wheel in my Virginia studio out of white stoneware clay. 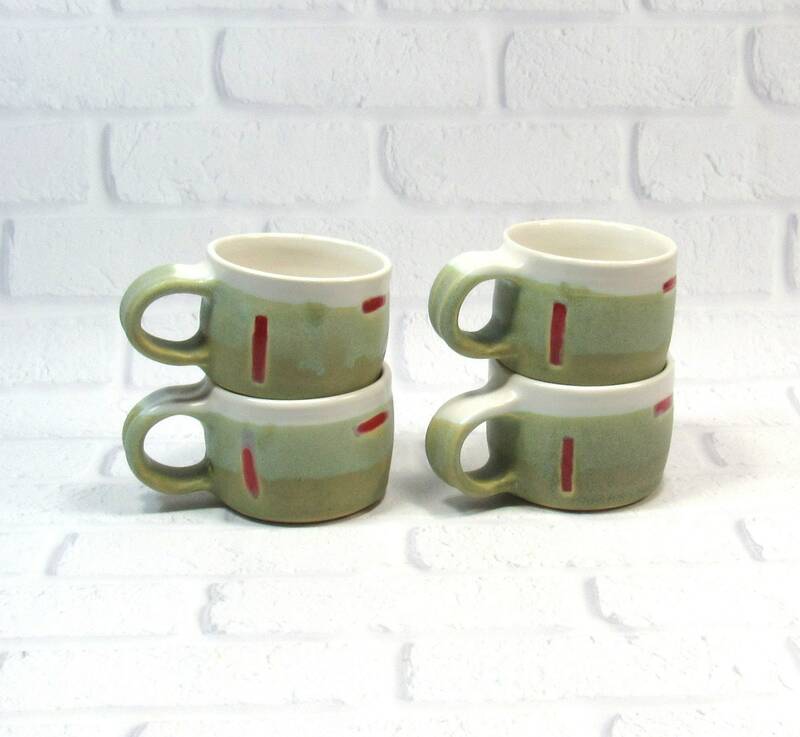 I glazed them in a white satin glaze on the inside and a matte green glaze on the outside. 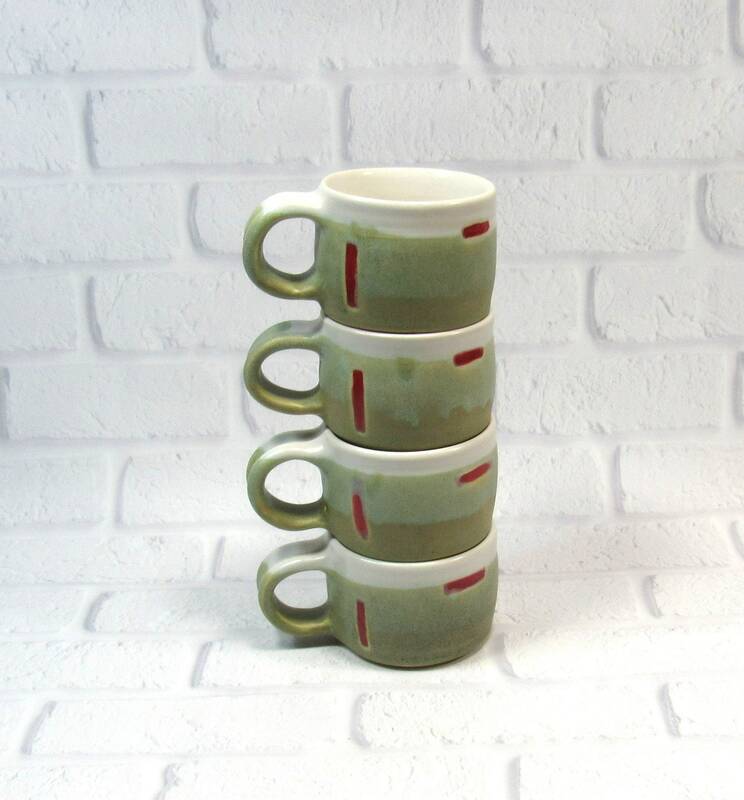 Each cup also has four small red rectangles. 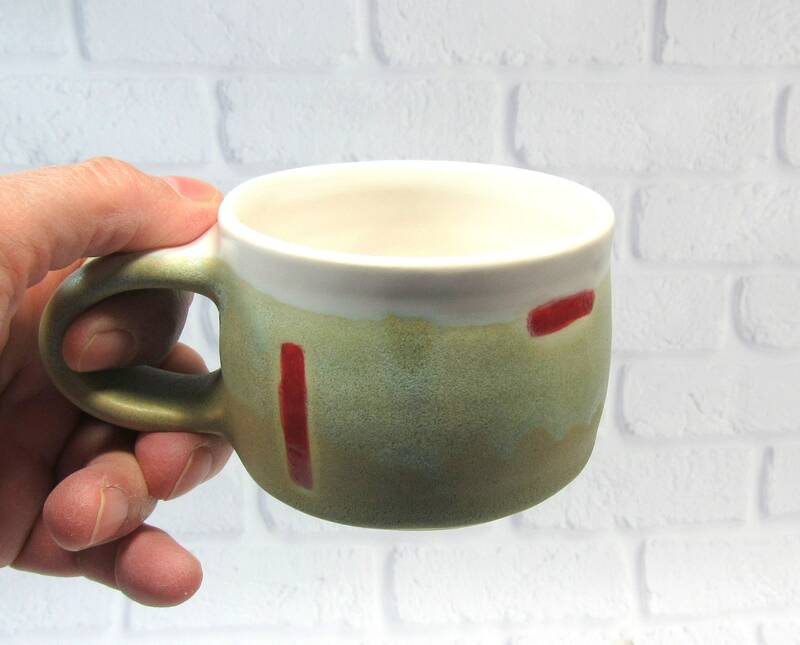 PLEASE NOTE: One of the cups has a "birthmark" on the inside in the form of a drop of blue glaze over the white. 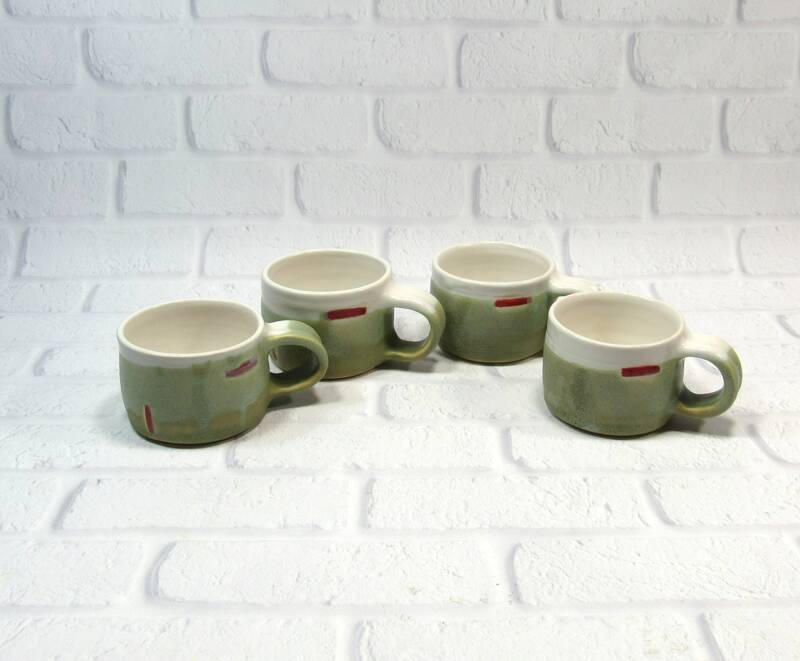 See the fourth image.